Ever wanted to own the iconic Harris Tweed coat worn by Withnail throughout much of the film? 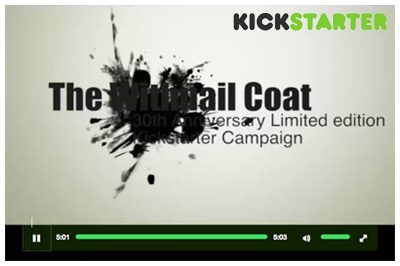 If so, this Kickstarter campaign is for you. If successful, the revered costume designer Andrea Galer will produce a limited edition of 100 of the male and female versions of the coat. Each will be woven in the Outer Hebrides, numbered and delivered with a certificate of authenticity signed by Andrea. After a considerable wait, a brand new, four-disc DVD/Blu Ray boxset has been released. Restored from the original camera negative, the set is packed full of bonus features including an audio commentary and newly filmed interviews with key members of the behind-the-scenes team. 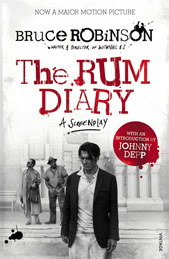 The first 2000 copies come with an exclusive hardback book containing new writings on the film and rare production stills. Candid photographs taken by Murray Close, some of which have never previously been seen, form a revealing tribute to one of the most celebrated British comedy films ever made. We're delighted to have been granted permission to display exclusive behind-the-scenes photographs from the film's official photographer. Murray Close is an internationally renowned photographer who has shot images for the likes of Kubrick, Spielberg and Eastwood. 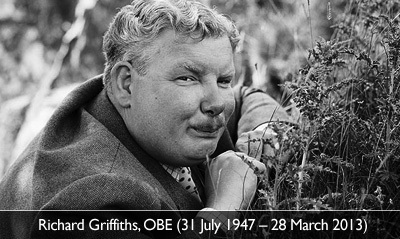 Richard Griffiths OBE - perhaps best known for his role as Uncle Monty - was laid to rest at the Holy Trinity church in Stratford-upon-Avon on April 9th 2013. 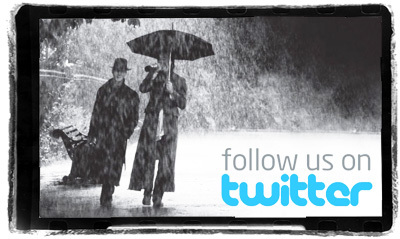 August 2012: Outdoor Withnail & I screenings at Crow Crag! Can there be any better location to watch Withnail & I than at Sleddale Hall? Of course not! Read on to hear about this unique experience that was organised in partnership with Picnic Cinema. Find out more >>. Withnail and I director, Bruce Robinson, brings Hunter S. Thompson's novel to the big screen with brilliance, wild humour and fierce energy. Buy now. "No one's really come close to replicating the maverick, melancholy, rat-arsed resonance of Withnail and no one ever will. It's a complete one-off." Read more on the Time Out website. Yep, you read that right. Withnail and I fans can now carry around a selection of high-quality quotes (i.e. We've gone on holiday by mistake) from the film on their Android device. Download it now. 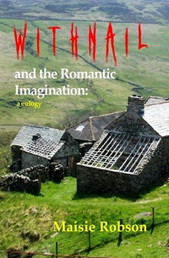 King's England Press has published a new book written by Maisie Robson that explores the cultural echoes that that give Withnail and I its context and meaning. Grab a copy now. 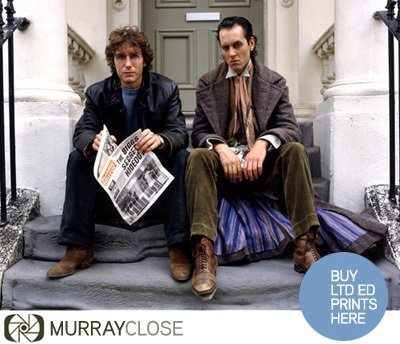 The Global Dispatches, the online magazine that publishes articles on a variety of topics including politics, economics, finance, and art, has published an article that explores Withnail and I, 25 years on from its release. 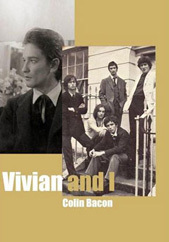 A new book called Vivian and I - all about the friend of Bruce Robinson who Withnail's character was largely based on - is now available from Amazon. Written by Colin Bacon and published by Quartet Books, it encompasses the half century from the end of the Second World War to the height of the ecstasy era. January 2009: Crow Cragg Could Be Yours! 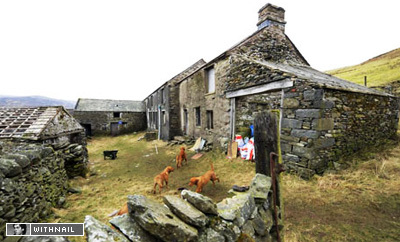 Sleddale Hall, the cottage that provided the perfect setting for Withnail and I's holiday is up for sale. The price-tag? £145,000. See the BBC's report on Withnail Tourism. Sponsored by Bath's mobile cinema, Pyjama Pictures, a moonlit screening of Withnail and I will be taking place in the back garden of the Holburne Museum in Bath on 28th June 2008. 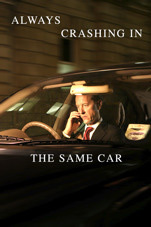 A new short film staring Richard E Grant and Paul McGann (the first time they have appeared together on screen since Withnail and I) has been released. This 11-minute black comedy was financed by HandMade Films and directed by Duncan Wellaway. Read more about it on the IMDB. 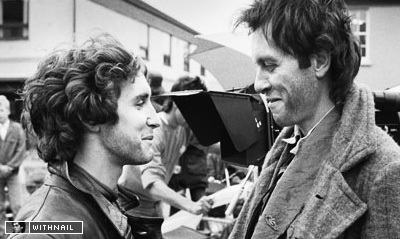 Withnail and I is one of seven classic British films that has been chosen to be part of The Summer of British Film season that takes place at 136 cinemas between 31st July and 11th September. A brand new digitally remastered wide-screen version of Withnail and I has been released to coincide with the film's 20th anniversary. 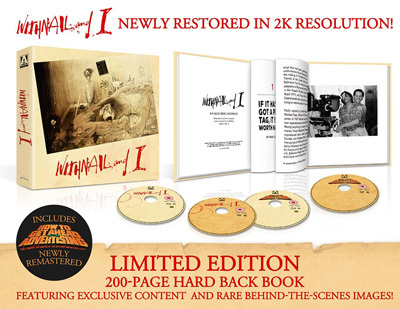 The package comes with 3 DVDs as well as an audio commentary, original musical score and a deluxe steelbook case. Grab yourself a copy now. Richard Griffiths has branded the proposed adaptation of Withnail and I into a stage play as "a crap idea" - insisting that it is little more than a money-making scheme. Meanwhile, writer/director Bruce Robinson is said to be equally as unhappy about the proposed production - claiming that a Withnail and I play will never appear on the West End. Read more on the BBC website. 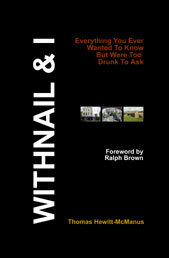 A new Withnail and I book has been published that presents an array of facts, anecdotes, and trivia regarding the production of the film as well as the colourful genesis of its plot and characters. 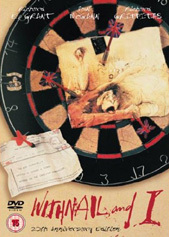 Written using an "A to Z" format, the book includes photographs and maps of the film's locations, and yields answers to the many questions asked about the film. Ralph Brown - who played Danny in the film - provides a foreword. Grab yourself a copy now. 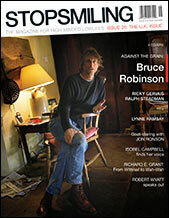 Withnail and I director Bruce Robinson talks about the film, his current projects and politics in this addition of Stop Smiling magazine. The magazine also includes interviews with Ralph Steadman, Ricky Gervais and Richard E Grant.Read more about Stop Smiling here. This site has been created to provide an accurate source of information about Withnail and I - one of the most original and funny films to have ever come out of Britain.